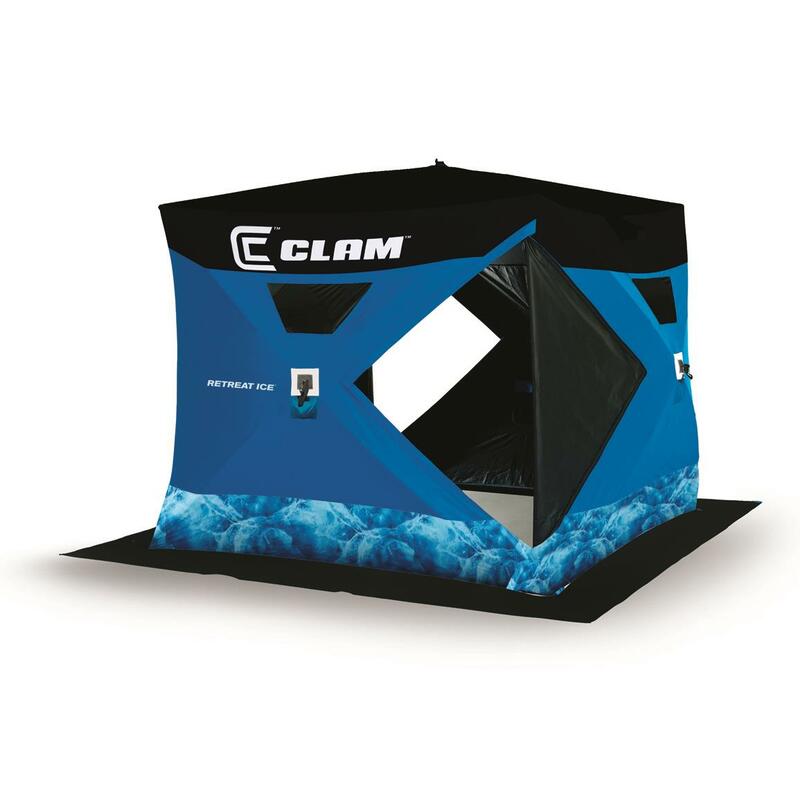 Take Refuge from whipping winds and pelting sleet inside this “Best in Class” pop-up Clam® Shelter. Retreat Ice has a bigger footprint with more fishable area compared to other hub shacks on the market. And its super durable fabric, poles and hubs will give you a reprieve from extreme conditions. Plenty of headroom. Plenty of room for heaters, chairs and gear. And plenty of reasons to take your entire family on an ice outing this season. Fishable Area: 56 sq. ft. Setup Size: 90"l. x 90"w.